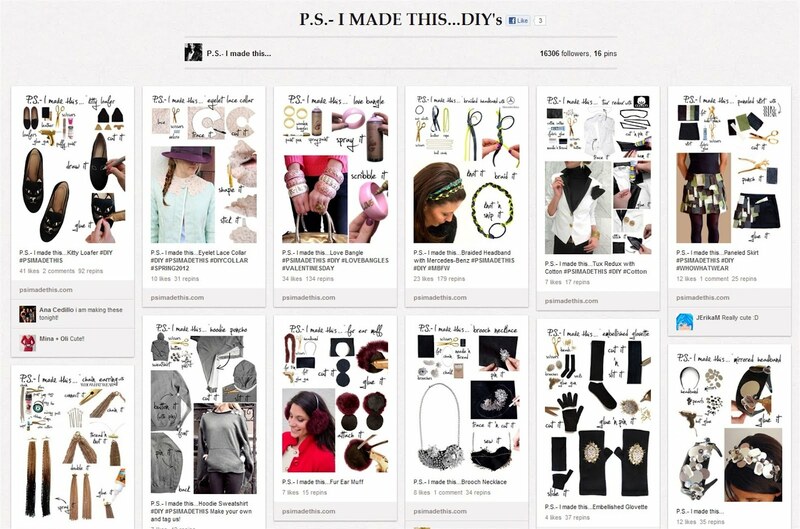 If you haven’t caught onto Pinterest yet, it’s only a matter of time! 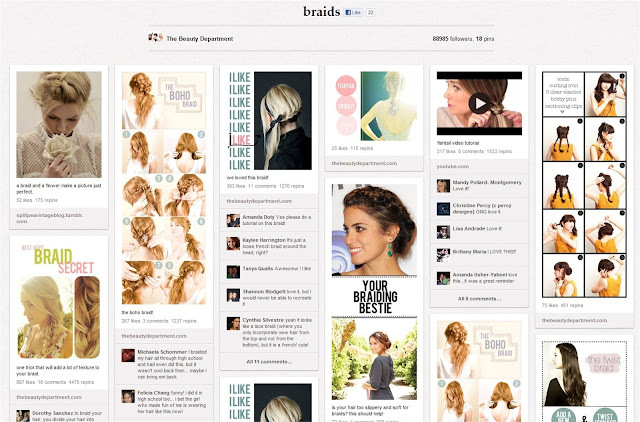 This virtual online pin-board allows you to pin everything that you love and find inspiring onto organized boards. Sound addictive? It totally is! 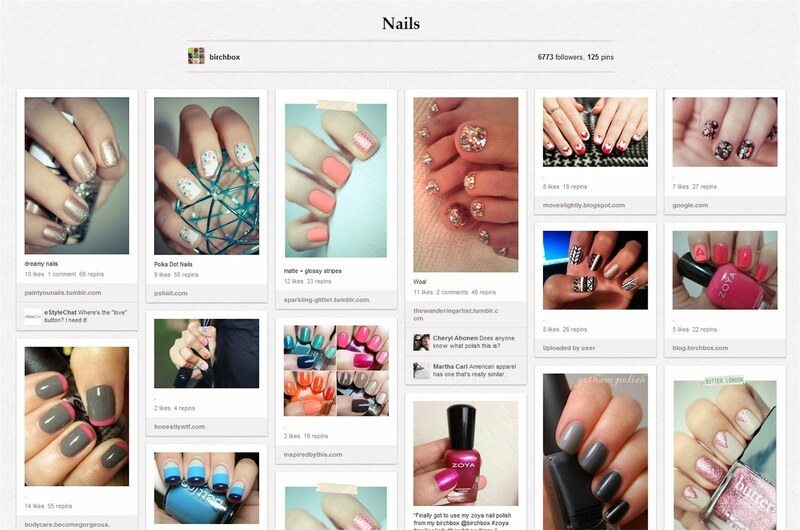 Pinterest is especially alluring to fashion and beauty enthusiasts. Whether you’re looking for the latest runway trends or a chic updo, Pinterest has got you covered. 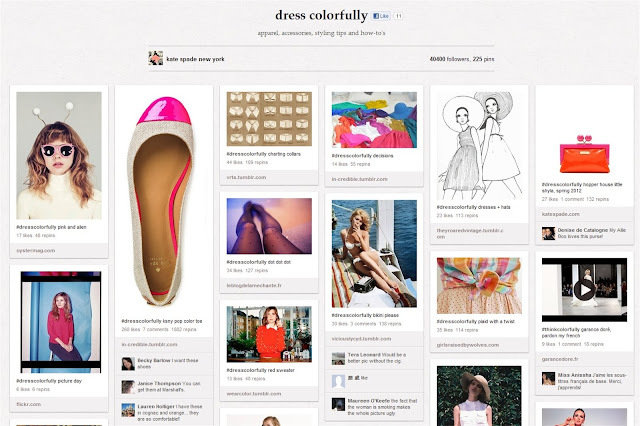 Even designers such as Michael Kors and fashion bloggers like Emily Schuman (Cupcakes and Cashmere) have taken to Pinterest to share their daily inspirations. 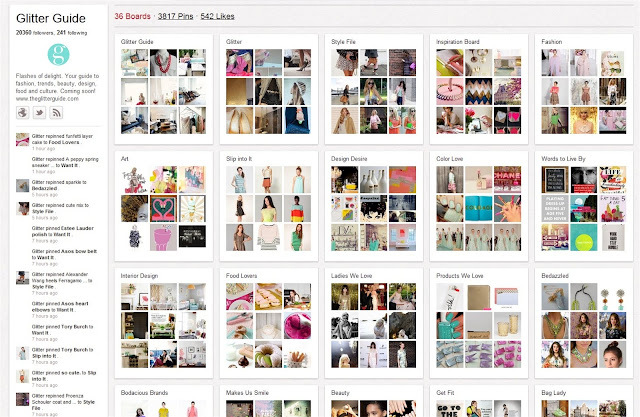 Whether you’re a Pinterest pro or a newbie, here are 10 fashion and beauty Pinterest accounts that may have slipped under your radar. Happy pinning! The department store of department stores, the one and only, Bergdorf Goodman, has taken to Pinterest in a major way. 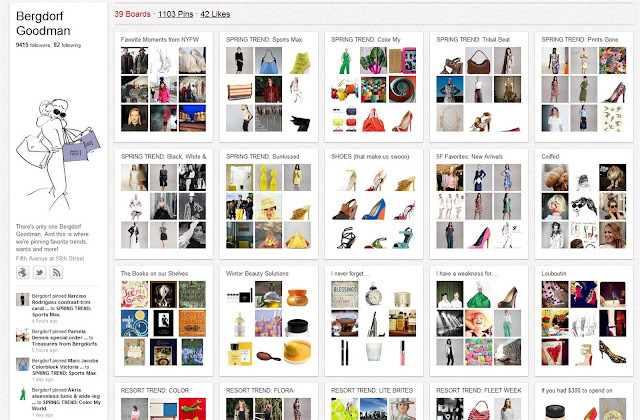 With 39 distinct boards ranging from specific spring trends to must-have items (including Louboutin shoes! ), BG covers fashion from every angle. They even contribute to The DC Style Syndicate, a board featuring fashion from the nation’s capital. 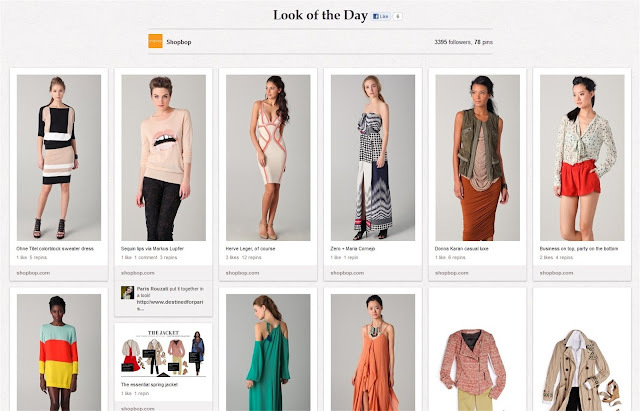 Women’s Wear Daily (WWD) is basically the fashion bible. Read religiously by fashionistas everywhere, the editors of this daily newspaper clearly know their stuff. 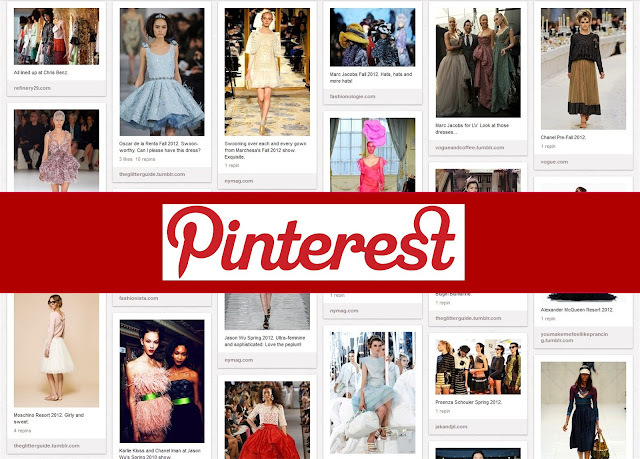 To fulfill your passion for fashion, become a follower of WWD and have boards such as “RTW Fall 2012,” “Front Row” and “They Are Wearing” at your convenience. For the fun-loving girl who takes pleasure in all things sparkly, look no further! Providing you with “flashes of delight,” whether it’s via fashion, beauty, or culture, The Glitter Guide has a never-ending repertoire of swoon-worthy pins to check out. With a board devoted solely to “glitter,” you can’t go wrong! 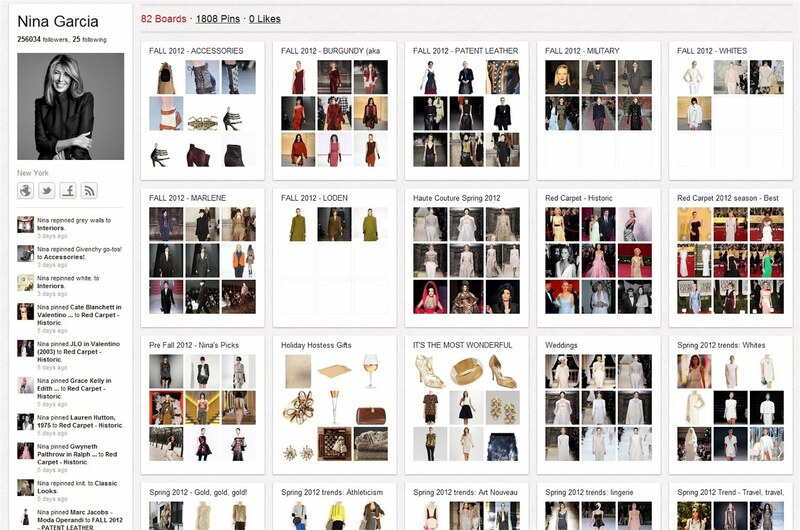 With over 1,800 pins, how could I not spotlight this fashion journalist’s (and Project Runway judge) Pinterest account? From spring to fall 2012 trends, and everything else in between, Nina Garcia’s 82 boards will keep you up-to-date on every micro and macro trend this season and next! When it comes to fun nail tutorials (Mani Monday, anyone?) and cool how-to’s, such as the “fun bun,” you must start with The Beauty Department. From party hair and makeup ideas to must-try braids, it has you covered from A to Z. Providing you with “your daily dose of pretty,” The Beauty Department will quickly become your go-to source for all things beauty! The always sophisticated and witty brand, Kate Spade, presents you with an amalgamation of artsy and fun pins to peruse through. Known for their bright greens, pinks and yellows, they have “colorfully” arranged their boards in a way that will inspire you to think outside the box when it comes to fashion. From “dress colorfully” to “celebrate colorfully,” their pins are just as whimsical as the brand itself. Calling all beauty junkies, Birchbox is the answer to all of your makeup woes! The next time you want to try a new smoky eye or lip color, peruse Birchbox’s endless selection of photos for ideas. If you’re more of a visual person and like to see the step-by-step process, they even have a board dedicated to BirchboxTV, their online collection of how-to videos. 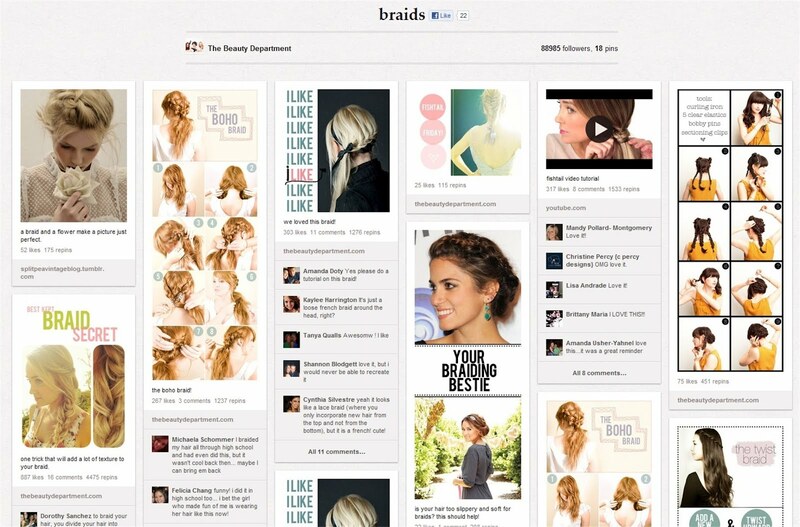 What are your favorite Pinterest accounts to follow? Leave a comment below! Excellent post! I'd like to suggest to new Pinterest users. Keep your content fresh. 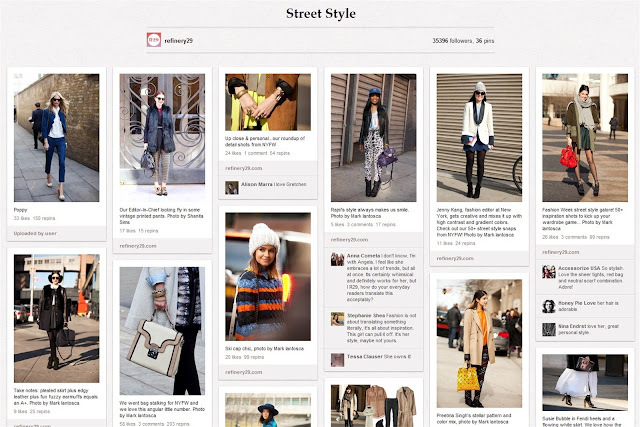 Be sure to constantly keep your newest and most intriguing content pinned. Once a product or service gets old or replace, make sure you are removing it and replacing it with the next great product you are offering. thanks all! !